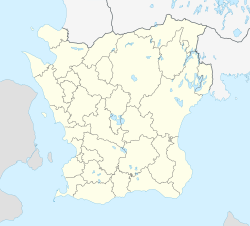 Skillinge is a locality situated in Simrishamn Municipality, Skåne County, Sweden with 859 inhabitants in 2010. Skillinge has become known particularly for its theatre. This page was last edited on 18 January 2018, at 05:58 (UTC).